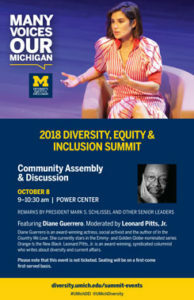 Are you in a position to publicize news and events associated with the Diversity, Equity & Inclusion strategic plan? 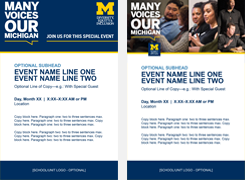 The downloadable templates below will ease the process for you while preserving the distinctive look and feel of the U-M brand. 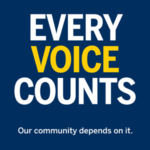 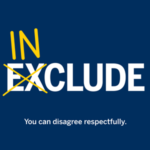 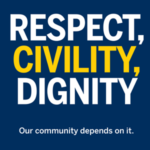 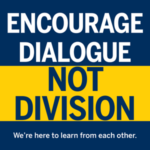 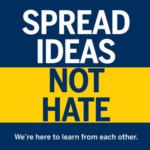 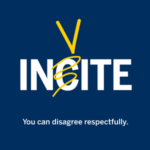 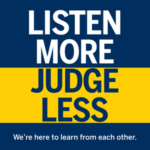 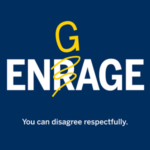 Please take advantage of U-M’s Happening at Michigan Events Calendar to promote your diversity-related events. 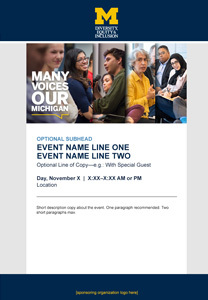 If you use the Diversity tag and/or the Diversity Strategic Plan tag, your events will also automatically show up here. 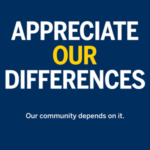 Edit the text as you see fit and send! 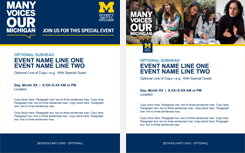 * Please note, you can drag and drop images in to the blue bar for the unit sponsor footer section, but you will need to center it and reduce the size. 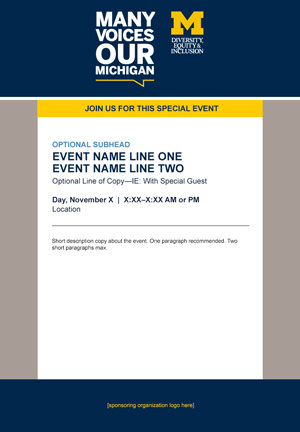 If not, please leave the section blue without the generic text.